Holy Family Academy strives to round out its rigorous academic curriculum and focus on living the faith with numerous activities, clubs and events. 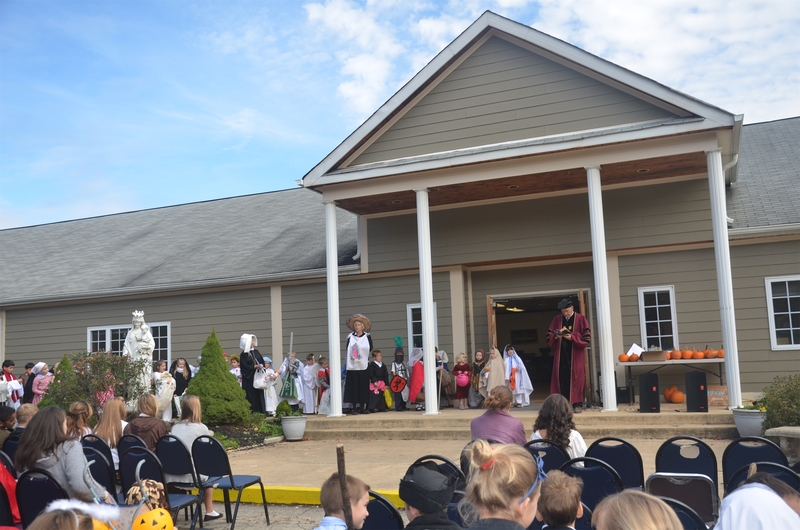 All Saints Day: Holy Family celebrates All Saints day on October 31st with saint reports from each student and a school-wide saint-costume contest and parade. School is closed on November 1st. Saint Nicholas Day: Each December 6th, Lower School students put one shoe outside their classroom door at the end of the day for “St. Nick” to fill with candy! Christmas Pageant: Every class puts together a song, poem or mini-play for our Christmas Pageant which is held on the last day of school before Christmas break. Kindergartners practice for the Christmas pageant. Pro-Life Report: Every student from kindergarten through twelfth grade writes and delivers in front of their class a pro-life report each year in anticipation of the commemoration of the infamous Roe v. Wade decision. Pro-Life Poster Contest: Lower school students also participate in a pro-life poster contest! Students often bring these posters with them to March for Life. 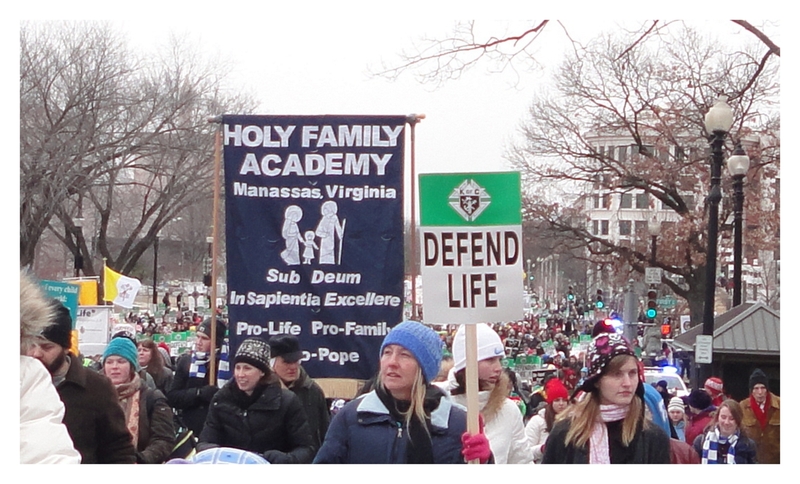 March for Life: Holy Family rents a bus and cancels classes so that our students and their families may march under the HFA banner in Washington. Students, faculty and families at the March for Life. 40 Days for Life: Each grade signs up for an hour to pray the Rosary as a class, often with families, in front of the Manassas abortion clinic. 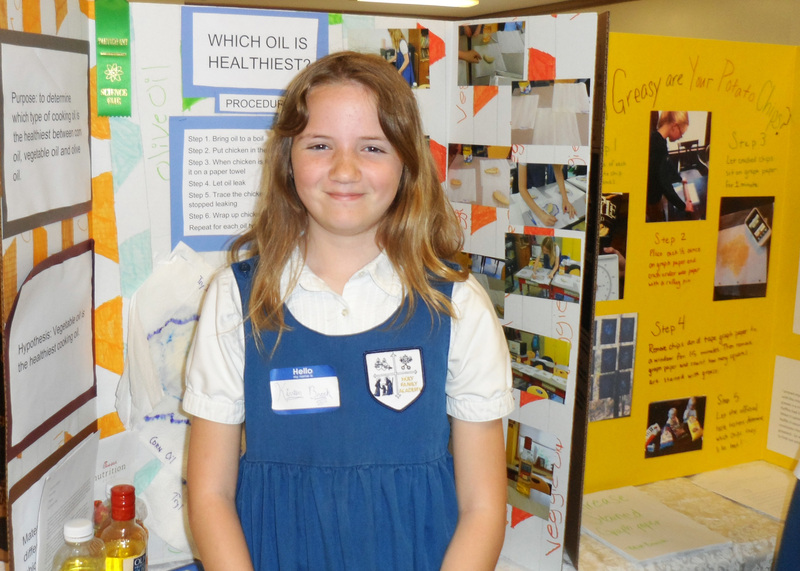 Lower school students participate in a school-wide science fair competition. Science Fair: Lower school students in grades K-5 participate in a traditional science fair competition. Recess: Lower school students participate in a short snack recess and a longer lunch recess each day. 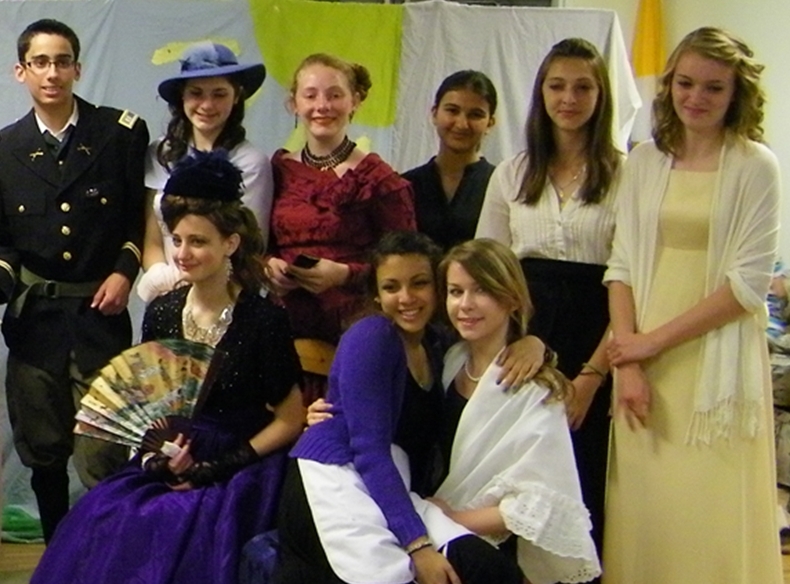 6th, 7th/8th, 9th/10th and 11th/12th Grade Plays: Our students in these grades perform classic plays each year. Junior High and High School Athletics: Holy Family fields competitive girls teams in cross country, basketball and soccer, and boys teams in soccer, basketball and baseball. Students perform classical plays beginning in 6th grade. Choir and Schola: Unless serving at the altar, our 9th – 12th grade students sing at Mass each day. Upper school student helping a lower school student with pumpkin painting at the Fall Festival. 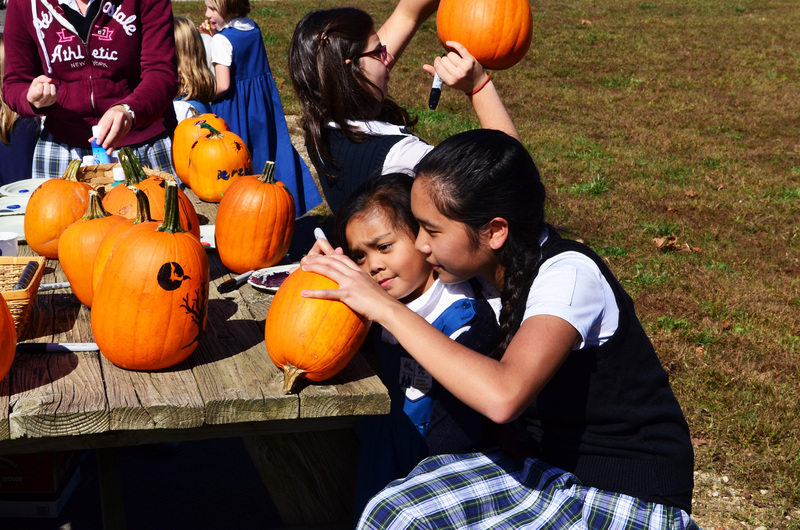 Fall Festival: The entire school participates in a fall festival with upper school students organizing and running games, pumpkin painting, hay rides and other activities for lower school students. Epiphany Ball: Just after Christmas break, our 7th – 12th graders look forward to this formal dance, including dance cards. The Ball includes a pot luck dinner for students and their parents. Spring Formal: Our high school students plan and hold a dance at the end of each school year. Theses and Debates: Every high school students writes and delivers a thesis to their peers and a faculty panel each fall and participates as a member of a formal debate team each spring. Booster Club: Holy Family’s athletics program is supported by this group which hosts spaghetti dinners for the entire school community throughout the year. Young Men’s Outdoor Program: Holy Family for years chartered a Boy Scouts of America Troop, but in 2013 we sadly turned in our charter. Fortunately we are launching a successor outdoors program that will fill the gap.